The NLE Series is available in XY and XYZ configurations. The vacuum compatible version of the NLE linear stage is dimensionally the same as the standard NLE. Every part of the stage has been modified to minimize virtual leaks and outgassing. All aluminum parts are clear iridited, bearings are lubricated with Krytox Low Vapor Pressure grease, and all wires use teflon insulation. The stepper motor and linear encoder are specially designed for use vacuum applications. The fasteners are made of stainless steel and vented if used in blind holes to eliminate virtual leaks. 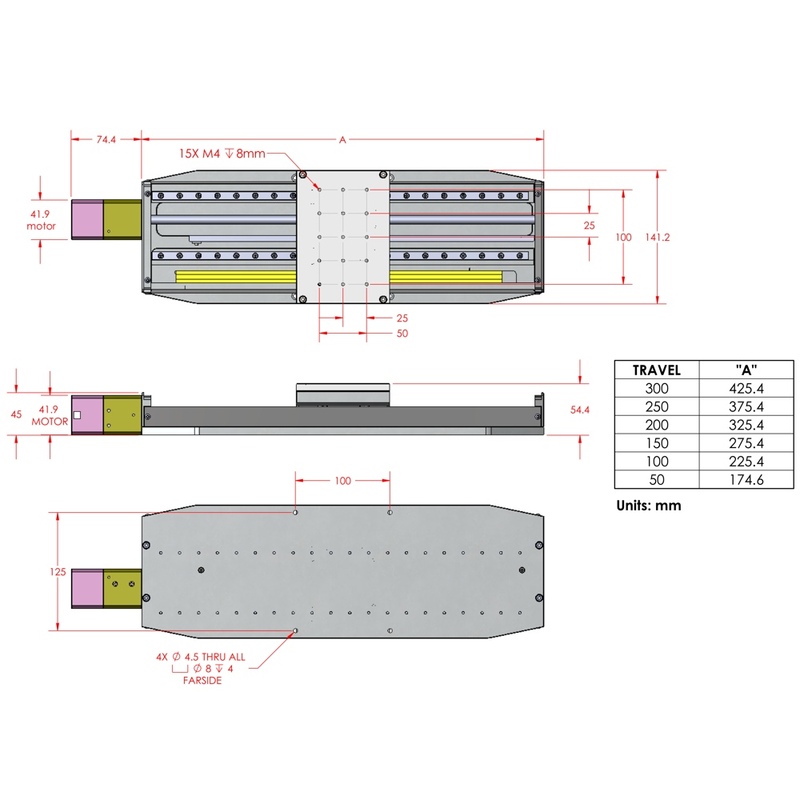 A vacuum compatible linear encoder is utilized to increase positioning accuracy. The use of linear guide bearings provide a smooth motion with high load capacity and stiffness. Since the carriage is supported over the entire travel of the stage, a good cantilevered load capacity can be achieved. Motor wires and encoder cables are 0.6 m (2 ft.) long. The motor wires are terminated with a vacuum compatible DB-9 female connector and the encoder cable is terminated with a vacuum compatible DB-15 female connector.